The VM-1110xl is a high-performance distribution amplifier for balanced mono audio signals on XLR connectors. 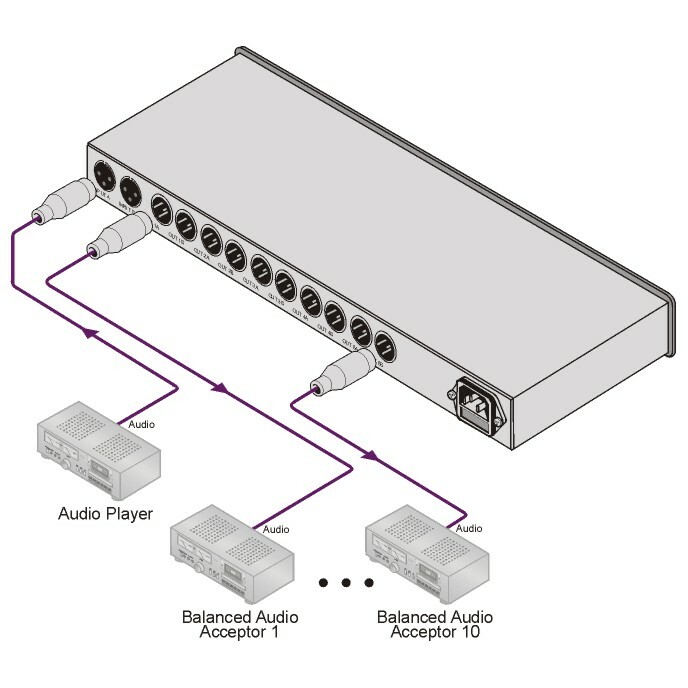 It can also be configured as a 1:5 distribution amplifier for stereo balanced audio signals. Dual Mode - Configure as 1:10 (mono) or 1:5 (stereo) DA.